Integrated Consulting Group – Should Your Business Offer a Corporate Wellness Program? Should Your Business Offer a Corporate Wellness Program? Corporate wellness programs have been gaining in popularity for some time now–many companies offer a corporate wellness program, offering cheaper insurance and other benefits to those who enroll. These types of programs have only been made more popular with the rise of wearable fitness technology, which helps keep better track of individual and organizational fitness. But why are so many companies interested in corporate wellness? Cheaper insurance costs: Many insurance companies offer lower insurance premiums for companies that offer employee wellness programs; more fit employees are less at risk for health problems. Today, many businesses are finding that wellness programs have been great sources of decreased costs–and some have even reported significantly fewer sick days since starting their programs. 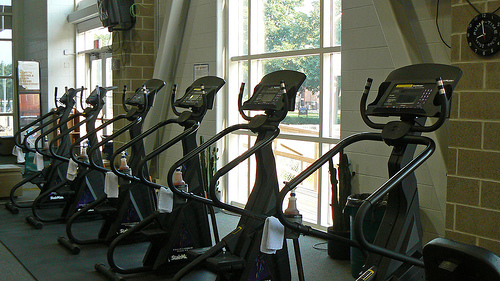 Wellness programs can be a great way to lower costs in an otherwise expensive space. Increased productivity in the office: When you invest in a corporate wellness program, you’re not just getting healthier employees–you’re getting more productive ones, too. Employees “who are thinking about improving their lifestyle on a regular basis” are more likely to succeed in the office than those who aren’t. The more that the office can be perceived as a healthy environment rather than one that causes stress, the better. Better recruiting and company culture: Finally, corporate wellness programs often have benefits in terms of company culture and recruiting. Especially for millennials, who place a high value on corporate culture (and not just the work itself), programs that promote a healthy culture can lead to better recruiting. While this is less of an issue for more experienced workers, companies seeking to build a strong culture and recruit young talent should put this into consideration. Corporate wellness programs aren’t a problem-solver for everything you’ll encounter in the workplace, but they can help tremendously in crafting a sustainable culture, and yes, even increasing profitability for the company over time thanks to money saved on insurance and increased productivity by employees. If your business is thinking about offering a corporate wellness program, now is as good a time as ever to get out there and start weighing your options for helping encourage better health amongst all of your employees. Better health is hardly ever a bad thing! Here at Integrated Consulting Group, we specialize in the design, development and customization of SAP Human Capital Management business software for leading edge North American companies with global reach. We believe in an all-encompassing approach, and would love to answer any questions you have about SAP HCM or Human Resources. For any questions, feel free to reach out via the contact page of our site, or on Twitter or LinkedIn.